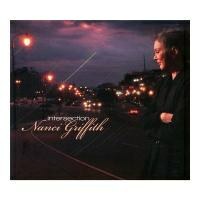 Nanci Griffith has always been a difficult artist to categorize. A kind of hybrid of the Greenwich Village folkies of the 1960s and the rough-hewn Texas singer-songwriters of the 1970s, Griffith has always been a little too country for many fans of the former and a little too folky for many fans of the latter (and sometimes a little too pop for everyone). Her extraordinary records throughout the 1980s -- Poet in My Window, Once in a Very Blue Moon, Last of the True Believers, Lone Star State of Mind, Little Love Affairs -- were simply produced, mostly acoustic, and plainly revelatory in an era in which synthetic drums and keyboards were sneaking into the Nashville sonic template. For many listeners (myself included) this was very much part of the draw circa 1986: here was an acoustic country music, a country folk music, that felt timeless and yet, given the prevailing trends of the day, bravely antimodern. It was almost rebellious. And then, just as the decade came to a close, Griffith changed tack almost completely, adopting rather precisely the kinds of synth-driven arrangements from which listeners had come to her earlier work, seeking shelter. It was a shock when Storms first appeared in 1989; I can distinctly recall the frustration I felt at this new sound, this pop sheen, the very fact of her choice of producer in Glyn Johns, a bona fide rock'n'roll legend who had no clear background in either country or folk music. At the time, it was hard to see, but this about-face, this bit of rebelliousness, this provocation, was Griffith being Griffith. She would go on to rebel against any lazy expectations about her sound, her voice, in the ensuing decades, and to cement her reputation as a consistent, if not always predictable, artist. But "rebel" feels like such an odd word to apply to Griffith, an adult-contemporary artist if ever there was one. Her songwriting (and her astute choice of covers) has never been edgy; her performances (whether of coffee house acoustic numbers, old-school country and western, or synthy pop) have always been pleasant, agreeable. Though she has always infused her work with liberal politics, these have tended to be of the classic urban folkie's smile-on-your-brother, anti-war, and rally-round-the-small-timer variety, and haven't often edged toward outright condemnations or proclamations. Her onstage persona has always been sweet, friendly and, even at times, charmingly wide-eyed. But this was a mask. And now, with her two most recent records (2009's The Loving Kind and this year's Intersection), Griffith has invited us to see behind the mask. The Loving Kind may have been a shock to some listeners with its open criticism of George W. Bush, its borderline stumping for Obama, and its songs about race politics and capital punishment, Griffith has gone one better with Intersection. Utterly shot through with vitriolic anger, disappointment, fear, and dissent, this may well be her strongest ever statement (even if it isn't her strongest ever record). There's a searing kiss-off to her father after decades of his lack of respect for her work. There's a harrowing portrait of a dying industrial town. There's a desperate cover of Blaze Foley's unknown classic "If I Could Only Fly". Though these are buoyed by a few flourishes of optimism, the overall feel is one of desperation, of the fed-up artist finally lashing out at those who've pushed her buttons for too long. The standout track, for instance, is called "Hell No (I'm Not Alright)". Griffith, the unlikely rebel, is at it again. Fascinated by this new expression, this surprising change of gears from an artist I have followed since 1982, I chatted with Griffith from her home studio in Nashville. Though spirited and clearly frustrated, she was also quick to laugh, to share her love of other artists, her dreams for the future, and her opinion on afternoon naps. PopMatters: This record demonstrates both a return to some of your earlier acoustic approaches and a step in a new direction. There's some more strident material on this record than you've ever done. Nanci Griffith: It came out in Europe first. We've been on tour there a few months now with this record, and "Hell No (I'm Not Alright)" is a huge hit. It's just become an anthem, you know, all over Europe and then the UK, and now in the States. And that excites me. I mean, you know, I never thought I would write a song that could be an anthem for the Wall Street occupiers and the NRA. I mean, you know, like, "Hell No (I'm Not Alright)" is the one thing they have in common. PM: Was the intention to write about that kind of generalized discomfort or were you aiming at a particular group of people? Were you expressing solidarity with those occupiers or with those gun-rights people, for example? NG: I don't know. You know, I don't even remember what I was angry about when I wrote "Hell No" but I was angry about something. Apparently everybody else was angry about the same thing. PM: Well, what about "Bad Seed" which is a really personal number about your father? This seems to come from a pretty dark, maybe even angry place as well. NG: Well, it does. You know my father had it coming for a long time and he deserved it and he got it, finally. And so for anybody who's been, you know, really mistreated by their father when they weren't being perfect, it's for them too... You know, I mean, my parents didn't always believe in what I was doing. Certainly my father's all I have left now, but we don't agree on much of anything. He's the last one left in my family, and we don't get along on anything. Except that I am his "bad seed". PM: What about music growing up? Did you connect on music in your house? Did you have a musical house? NG: We did. I mean, I loved the folk music. Just, you know, loved this wonderful music. I just can't fault my parents or my grandparents for bringing lots of great music to me. PM: Is this a protest album? NG: Well, it is. The Mississippi delta was a topic I wanted to write about, having been there on several occasions, in disbelief that it exists within our country's borders and it never gets talked about, never gets written about. You know that children down there are hungry, without shoes, without paved roads. To think that the Governor of Mississippi was even considering running for president! NG: That creep. Take care of your own state. You know. It was just...I felt like I just had to write about Mississippi because the delta is the most depressing place in all of America. But, things just come to me. Things rotate with me, but "Bethlehem Steel" is currently my favourite song on the record because it's probably the most subtle. It's talking about the death of an institution in America, the steel industry, but at the same time, I'm lacing it with Robert DeNiro running naked down the streets of Bethlehem, which was the scene from the Deer Hunter. PM: But Deer Hunter was what, 1979? And Cimino's film was very much a film of the late ‘70s' recession, and the beginnings of the real Rust Belt. And here we are, 2012, and that song feels completely current. There's something really remarkable about that. Opening the record with that, bringing us back 30 years and reminding us that things have not changed, that in fact they may have gotten worse. NG: Well, they have gotten worse. You know, they built an art center in front of Bethlehem mill. They didn't tear it down. It's all lit up. The back of the stage is the plate glass window. The audience looks out on Bethlehem steel. It's like the movie set, it doesn't even look real. That's where the song came from. We finished our show there and I went back and wrote the song in about 15 minutes. PM: You have always been adept at interpreting other artists. On Intersection you cover Blaze Foley, the legendary Blaze Foley. Could you talk a bit about that? NG: He's a cowboy. You know, he was a friend of mine. He was a friend of mine. It was a very sad loss. And as well as writing, you know, satirical songs like "Springtime in Uganda", you know, things of that sort, he also wrote beautiful ballads like "If I Could Only Fly". And I'd always wanted to cover "If I Could Only Fly". NG: It's a beautiful song and it speaks to me as a person who is on the road most of my life and has to explain -- whether it's to my dog, to my friends, or my sweetheart or whoever it is -- has to explain why I can't be there. PM: I know that you recorded this record at home. What effect did this have on the album? NG: It is the first time I've done that and [bandmate and producer] Pete Kennedy moved his entire studio down from New York and we recorded here at home. Thanks to that I could go down and take a nap in the afternoon. One day I had a dream in my nap that I was standing in a field with Dobie Gray. This was, like, six weeks before Dobie died. We're stranded in the high ground, both of us doing the Ricki Lake dance from Hairspray and, you know, I just felt like it was a gift and a blessing and I got up and I ran upstairs and ... where else are you going to do that but in your home? And I said: Stop whatever you're doing! We've got to get this song down! Because it even sounds like Dobie. It's him. PM: You know, maybe recording it at home is the trick. NG: Maybe taking a nap in the afternoon is the whole trick of it! PM: The album is called Intersection. Throughout the record you point to places where emotions and politics and love and pain all connect; these nodes of contact. NG: I think we're all changing right now. You know, there are those who say we're not doing well. There are those who say we're doing excellent. But for the most part, we're all at an intersection. We're like that four-way stop in the middle of nowhere, at the end of the Tom Hanks' movie Castaway where he's sitting at that intersection and he doesn't know which was to turn. And, you know, he finally finds his way to the artist's house. The one package that remains, you know, from the plane crash. PM: So, are we lost, then, or are we found? If we always have a choice of where to go? NG: I think we have a choice of where to go but I think there's going to be some stiff resistance. And brutal things are going to go on with this election. I hate to see it happen. I think Romney is probably a nice man, a fair man, but, boy, the middle class are, you know, common people think he's on their side. They're mistaken. PM: Do you think you'll be campaigning for Obama or for any local reps? NG: Yeah. I think I'm probably too radical to, you know, to be speaking for anybody else's campaign. PM: You're too radical for American politics these days? PM: That's another political moment on the record, certainly. And you also, though, did you make a point in ending the record on a high note, on a kind of gospel note? Is this a hopeful message? NG: Well, I just, you know, I'd always wanted to do something of Loretta Lynn's and "High on a Mountain Top" was the perfect way to end this record because it is very hopeful. And it's, you know, just to stand your ground is very hopeful as well.